The T-38 was derived from the T-37 amphibious tank, itself based on a Vickers amphibious tank purchased from Great Britain in 1930. It may have also been influenced by the French AMR 33. 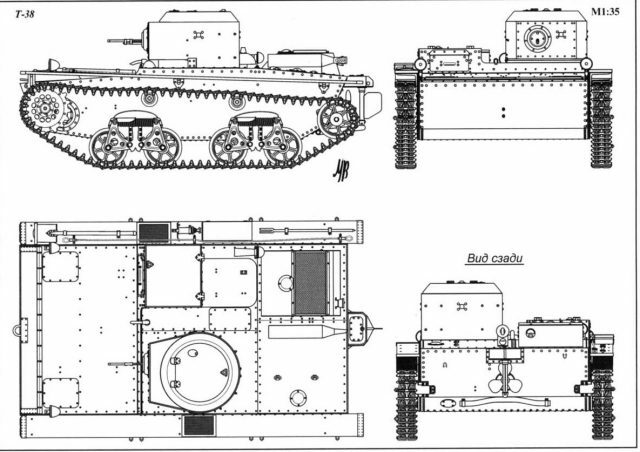 The Vickers was quickly modified into the mass-production T-37A. By 1935, the model had already shown many shortcomings which needed a solution, which came in the shape of an improved model. Zavod n°37 in Moscow studied a replacement and eventually a prototype was constructed that year. The range of modifications was rather limited. 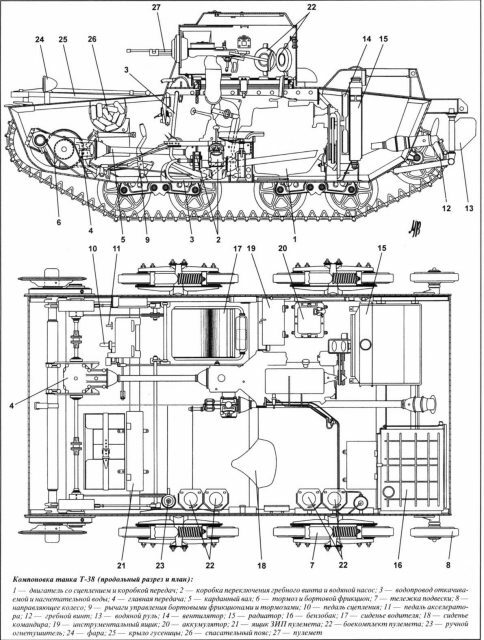 The turret and driver positions were shifted (from the left side to the right), friction couplings were added to transmit power to the tracks and a new, vibration free, running gear suspension was added and perfected for better driving and crew comfort. Moreover, the T-38 was slightly simplified, lower, lighter, slightly larger and buoyancy characteristics were also better. The Zavod 37 team choose not to deviate greatly from the original model and only applied a set of modifications to improve, most of all, the handling, driving and mobility characteristics on all terrains. It was thought the firepower could be improved greatly by fitting a 20 mm (0.79 in) ShVAK gun in the driver’s compartment, in a fixed position, but the solution proved far too cumbersome and was only briefly tested. The T-38 hull was substantially lowered, with the upper superstructure almost blended with the lower hull and widened at the same time. So were the hollow mudguards, meant to improve buoyancy as well as the handling in water. The double-drive system was unchanged, as well as the Ford-derived GAZ engine, transmission, gearbox, drive sprocket and idler configuration, but friction couplings were added. A small three-bladed propeller screw did the job when submerged and, in shallow water, the widened tracks provided more underwater grip and friction surface. On land, attention was focused on the sprung bogie suspension, which was substantially reworked to reduce the vibration level at high speed. The larger tracks also lowered the ground pressure. The shifted driver/commander positions improved driving visibility and handling (optimized for right-hand drivers). The hull was made of light rolled steel plates bolted on a frame, specially sealed. Protection was unchanged, as well as the armament, the usual belt-fed DT machine-gun. No provision was made for a radio. Production started at Zavod 37 in 1936 and was discontinued in 1939, when it became apparent that the lack of a radio and the firepower were two major issues, later corrected with the T-40. Numbers built differ greatly from source to source, ranging from 1200 to 1500 units delivered and put into service before the war started. 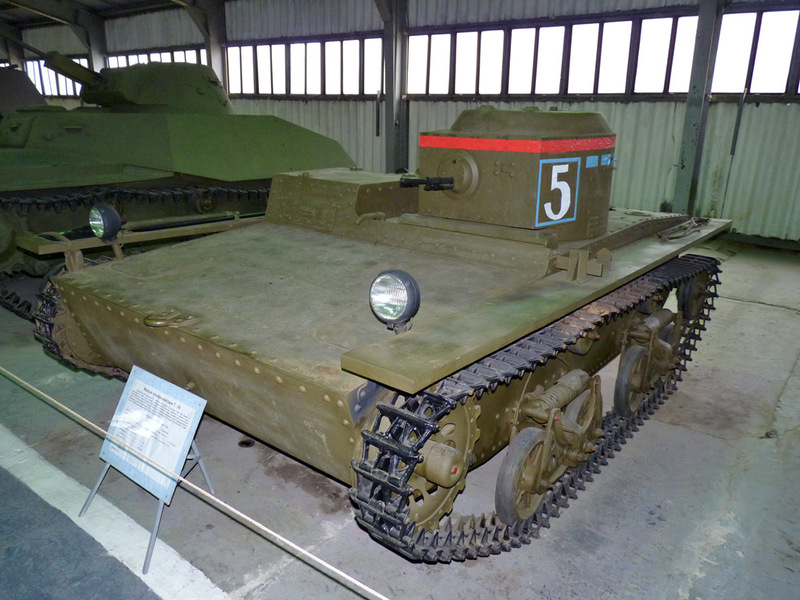 SU-45: One tankette was tested in 1936 with a 45 mm (1.77 in) gun as a SPG. The results showed that the stress caused on the suspension and hull was too great, and no production ensued. T-38T: Early on, in 1936-37, this version tested the 20 mm (0.79 in) SchWAK gun, but the cramped internal compartment couldn’t handle it. The project was dropped. T-38RT: This was the 1937 mass-produced radio version, fitted with an adapted bed frame style antenna. Unfortunately only a handful were allocated to each reconnaissance unit. T-38M1: This 1937 experimental version tested a new planetary transmission, which was not adopted for production as it was too complex. 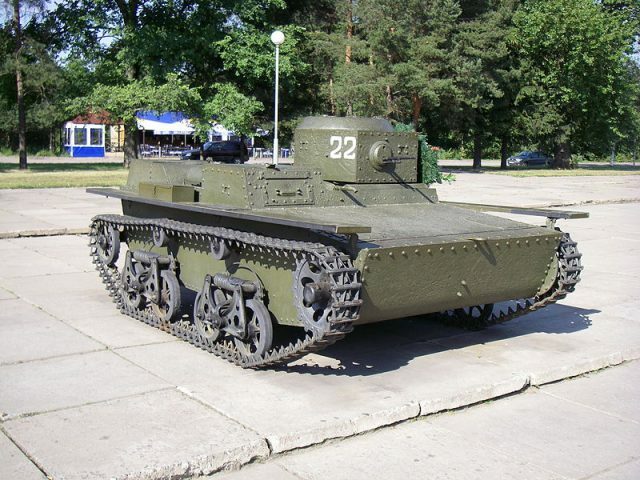 T-38M2: An attempt was made in 1938 to improve the gearbox and the engine, now the more powerful GAZ M1. Production started but records are unknown. T-38TU: A commander version fitted with an extra long range antenna, also produced in series. OT-38: A flame-thrower version, which remained experimental. T-38TT: An experimental remotely controlled version, used for demolition purposes, tested in 1939-40 in Finland to breach the Mannerheim line. In 1936, a handful of these vehicles were displayed during the May Red Square parade, under the belly of TB-3 bombers. Numerous exercises were performed for “deep battle” operations and each paratrooper unit was allocated 50 vehicles, and infantry battalions received 38 vehicles each. The T-38 entered service in 1937 and showed that, in operations, the lack of radio was a major flaw. Once the radio-equipped vehicle of a platoon was destroyed, the unit had no means to communicate the enemy position, except to physically dispatch a vehicle to the HQ. Plus, the lack of protection and armament meant that in most encounters with an enemy their military value was scarce. Their first mass-engagement came in Finland, especially in the summer because of the swampy and marshy terrain. But it was proven that even machine-gun bullets could pierce the armor and these were gradually phased out when the all-out improved T-40 was introduced in 1941. By the time of the German invasion, many seem to have been transformed into dug-out pillboxes in fixed positions on various lines of defense. Large numbers were destroyed, but an equally large numbers were captured, either by the Finns, for their own use, or the Germans, who subsequently turned them to the Luftwaffe for guarding their advanced airfields. Early production T-38, Red Square parade, Moscow, May 1937. Pre-war standard T-38, unknown unit, 1938. Up-gunned T-38T with a 20 mm (0.79 in) ShVAK in 1938, used for tests. Hungarian captured T-38, Ukraine, 1942. T-38 of the 18th Tank Battalion, 13th Army, Karelian Isthmus, February 1940. Captured Finnish T-38B pressed into operations, 1940. Finnish T-38 kept as a trophy, summer 1942. T-38 of an organic unit of the Independent Light Tank Battalion, Leningrad Front, Nevskaya Operative group, October 1942. My name is Hu De and I am collecting the engineering drawings of FT-17&T-38. Could you help provide the relevant drawings or some suggestions? Please inform me the necessary fee in your reply. The transmission on T-38 is quite different to the one on T-37 or T-37A. (Герцель Ильич Зайчик, 1905-1977) and Mikhail Konstantinovich Kristi (Михаилу Константиновичу Кристи, 1890-1965) were asked to develop a special planetary steering system. They produced a new system which allows tank to have different steering radius depending on road conditions. When on paved road, the steering radius would be larger, while on terrain the steering radius would be smaller. 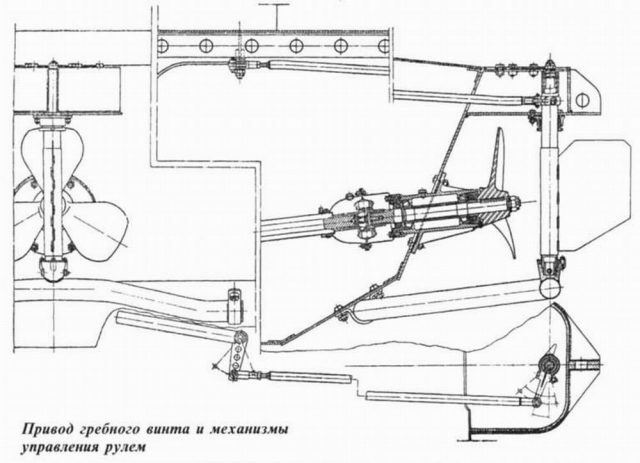 Such steering system was named as “ЗК”, or ZK system in latin letters, taken from the two designers’ family name capital letter. 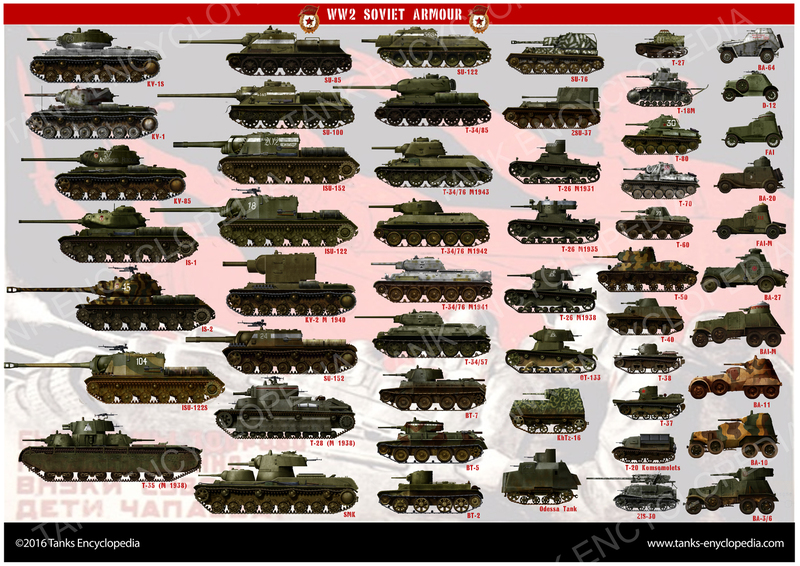 Further improved ZK systems were widely used on most Soviet heavy tanks after war, like ИС-4, ИС-7, Т-10 and T-10M. The two designers were awarded Stalin’s Prize for their contribution to the development of tracked vehicle transmission.